Product #6347 | SKU 3043031 | 4.0 (based on 1 rating) Thanks for your rating! 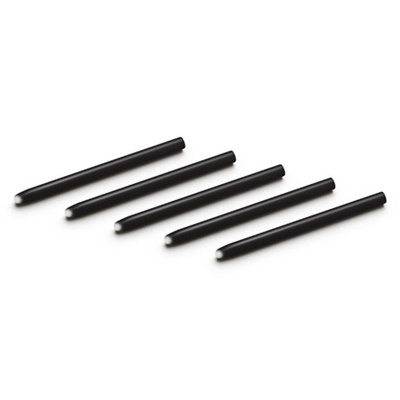 If you want a "higher friction" more flexible feel when writing or drawing with your Intuos Tablet Pen, then grab this five pack of Flex Nibs from Wacom. Simply replace your current nib with a Flex Nib and you're ready to go. For use with: most Wacom pens. These single-shaft nibs work in place of any standard nib.